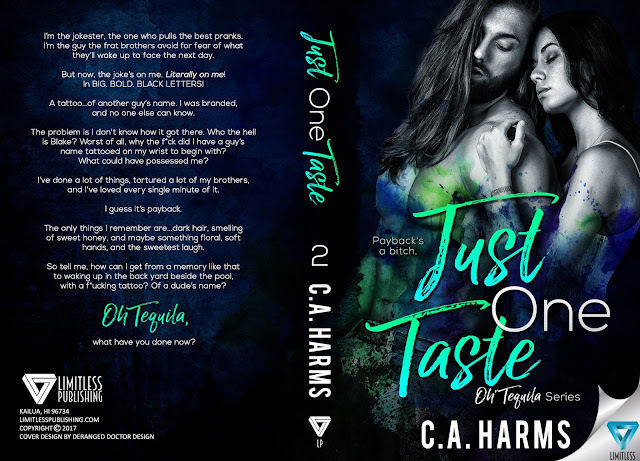 The Oh Tequila Series by CA Harms returns 12/12/17! I’m the jokester, the one who pulls the best pranks. I’m the guy in the house who the frat brothers avoid for fear of what they’ll wake up to face the next day. But now, the jokes on me. Literally on me! In BIG. BOLD. BLACK LETTERS! A tattoo, of another guy’s name. 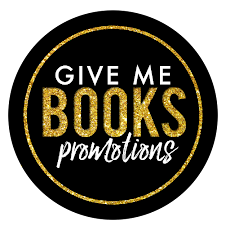 I was branded, and no one else can know. The problem is I don't know how it got there? Who the hell is Blake? Worst of all why the F*ck did I have a guy’s name tattooed on my wrist to begin with? What could have possessed me? The only things I remember are…dark hair, smelling of sweet honey and maybe something floral, soft hands, and the sweetest laugh. So tell me, how I can get from a memory like that, to waking up in the backyard beside the pool, with a F*ucking tattoo? Of a dude’s name? Oh Tequila, what have you done now?